April Snow Does NOT Deter Early Childhood Educators! 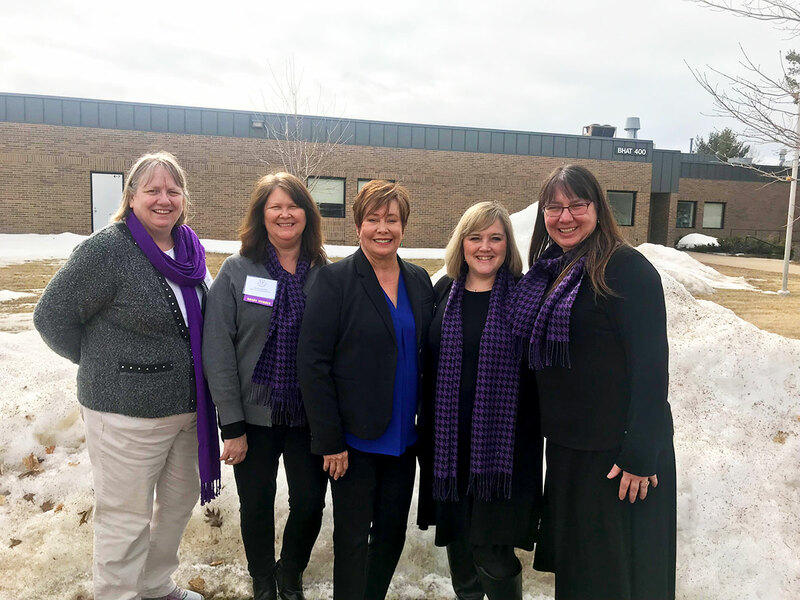 I am just back from the Upper Peninsula, Michigan, where I provided the keynote and closing session for a wonderful early childhood conference – IMPACT: Instilling More Play and Creative Thinking – held at Bay College in Escanaba. Lake Michigan was frozen but the early childhood educators at the conference were so warm and welcoming to me! The morning of my keynote we experienced an April snow – but these MI folks did not let the snow stop them! They came, participated, collaborated, and were inspired by the excellent sessions they attended. This conference was organized and implemented by a seven-person board. It is truly amazing what a small group of people can accomplish when they are hardworking and dedicated. This was clearly demonstrated as these professionals shared a mission of supporting young children, their teachers, and quality programs through professional development. One of my favorite things at conferences is chatting with the early childhood educators during the day, at lunch, and after sessions. They share their interesting stories with me about their work and ways they interact with young children. I learned about infant teachers who respect the preferences of babies, preschool teachers who recognized the creative potential of their children, a director who strives to hold all the pieces together, and a Children’s Museum director with fascinating ideas. What a wonderful profession I am in, with so many creative and dedicated people! I am thankful that I had the opportunity to communicate and collaborate with such special people. http://drisbell.com/wp-content/uploads/2019/04/Michigan.jpg 900 1200 Dr. Rebecca Isbell http://drisbell.com/wp-content/uploads/2015/12/logo-splash-trans1.png Dr. Rebecca Isbell2019-04-10 11:07:092019-04-10 11:07:09April Snow Does NOT Deter Early Childhood Educators!